A – CHARGING HANDLE ASSEMBLY. Provides a means of charging the weapon. B – BOLT CARRIER ASSEMBLY. Carries bolt to chamber and fires the weapon. 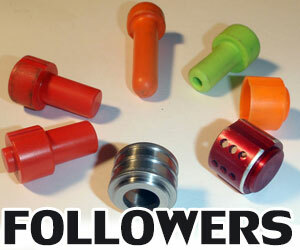 Contains the firing pin, extractor, bolt, ejector, and cam pin. C – UPPER RECEIVER AND BARREL ASSEMBLY. Rifle barrel assembly is air-cooled, contains flash suppressor and front sight assembly, and holds the two hand guards and the sling swivel. 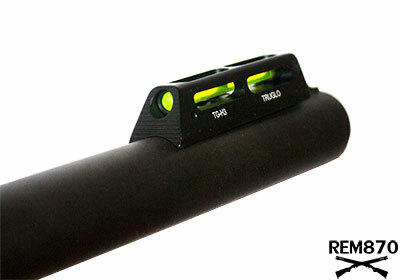 Upper receiver contains rear sight, ejection port and cover, and a housing for the bolt carrier and bolt assembly. A forward assist assembly is used on the M16A1 weapon. D – LOWER RECEIVER AND EXTENSION ASSEMBLY. Lower receiver contains the trigger assembly, sear hammer assembly, selector lever, rifle grip, bolt catch, and buttstock assembly. The buttstock assembly houses the action spring, buffer assembly, and extension assembly. E – CARTRIDGE MAGAZINE. 30 round cartridge capacity. F – SMALL ARMS SLING. The small arms sling is adjustable and provides a means to carry the weapon. The four specially angled flutes will hide/suppress nearly 100 percent of muzzle flash, and this is even when firing full-auto. It hides the flash by dissipating gases and retaining unburned powder for increased residual burning. 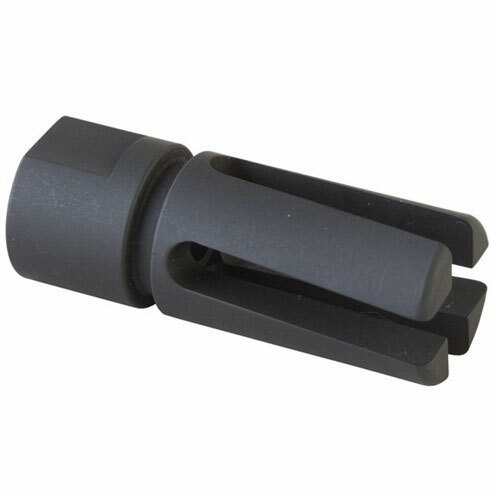 The flash eliminator is manufactured using 8620 bar stock steel the same steel used to manufacture AR-15/M16 bolts and carriers. The helix design helps align the exiting gases to improve accuracy with all types of ammunition. Frankly, who would not want a flash suppressor, especially for a tactical weapon where muzzle flash will reveal your position? While the AR-15/M16 G6-A2/G6-A3 Vortex Flash Eliminator does not eliminate 100 percent of the flash, it reduces it to the point where if another shooter spots it out of the corner of their eye they cannot pinpoint the location because it is practically eliminated. No more blind spots because of the flash on night fire exercises and no more bright flashes in night vision devices. Anyone that has worn night vision devices knows what it means to see muzzles flashes. You may experience dust or dirt kick up when firing from the prone position but this is to be expected. Because of Helix design, the flaming gases do not exit the barrel, a certain amount of expelled gas is channeled through the flutes, and the gases will disturb anything close to the muzzle. 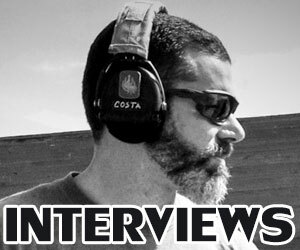 Unless in a combat situation where you cannot set up a shooting position you can support the muzzle like you normally would and this may raise it enough to eliminate any dust kick up when target practicing or for competitive shooting. Muzzle flash is reduced to virtually nothing at night so those concerned with a light signature can rest assured it is virtually gone when you use the AR-15/M16 G6-A2/G6-A3 Vortex Flash Eliminator. 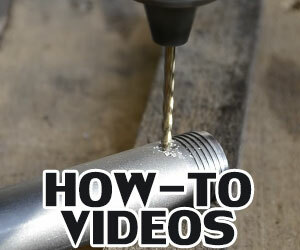 It installs quickly and practically anyone can do it in a matter of minutes, no need for a gunsmith. The maximum is 10 pounds of torque. SPECS: Fiber-reinforced hard polymer composite, Black or Desert Sand at 4.1″ (10.4cm) OAL. 1″ (2.5cm) bezel O.D. 3 oz. (85g) wt. uses one CR-123A battery, included. 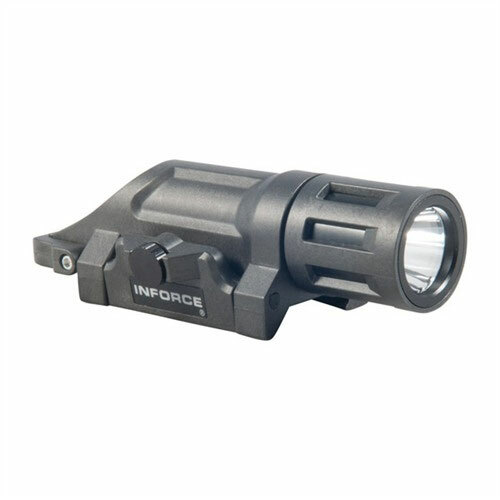 The Inforce-Mil-Led Light can be used for military tactical weapons, self-defense weapons, or on any weapon where a dependable, easily activated and bright light is needed. The light would be highly effective for a home self-defense weapon because target recognition is extremely important when confronted in your home. You must have the ability to identify your target in low light, or no light at all situations. Easy installation, bright light, easy to adjust and operate. The light is securely attached and does not wobble and can take some banging around and still stay securely mounted. The very bright light on high can be used to blind an adversary temporarily and the strobe feature can be used to confuse/disorientate an intruder. This is extremely important in a personal/home defense situation. The light can be activated and left on or activated for a quick look and it does not stay on. There can be times where you simply need a quick look around a room to identify any obstacles but do not want the light on constantly so you can avoid detection. The light can be set up for momentary activation without having to click off again. The fewer moves you have to make in a tactical situation will give you the advantage. Once in the shooting position you can operate the light with limited hands movements. If you are in a stationary shooting position, the fewer distractions you have the better off you are. You may be waiting for an adversary and want to switch on to blind them without giving away your position before they are in target range. This item is solid, easy to install and works as advertised and there is no point in trying to “cobble up” a light to fit your home defense weapon. Taping a light to the barrel is never recommended because the tape will dry out and when you need the light of course, the tape will fail. If you use lights not made to mount, as the Inforce-Mil-Led Weapon Lights is, then you can put yourself or family in a situation more dangerous than it is already in. Fumbling for the light switch means precious time for the intruder to move or fire and you stand the chance of not knowing for sure whether it is a family member making noise or an actual intruder. Always use quality products when your survival depends on it. 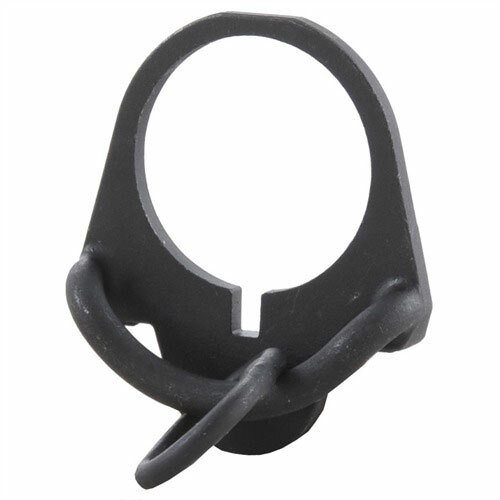 This item is ideal for home defense, tactical combat situations, competitive shooting and target practice. The pressure to load 60 or 100 rounds seemed the same meaning you do not have to apply more force as you get closer to full capacity. 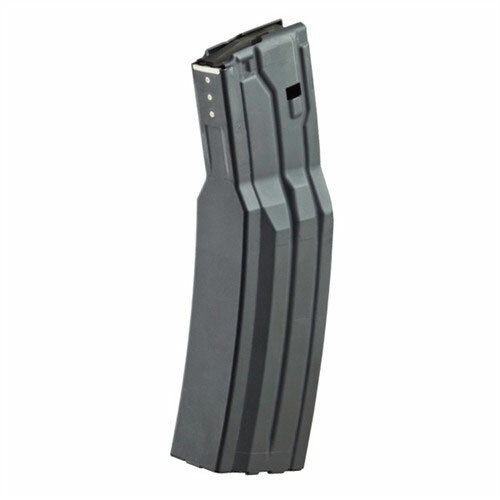 This product is of great quality, fit and dependability and you can shoot all day with the 100 round mags. You can have both the 60 and 100-round magazines to always have enough firepower on hand during competitive/timed shooting events. Having large capacity magazines means less time spent loading magazines, and more firepower can be brought to bear without having to worry about firing the weapon empty in any situation. In a tactical situation in many cases, you would have to seek cover to change over or to reload. You can be put in a perilous situation if you have to change over and you do not have cover. 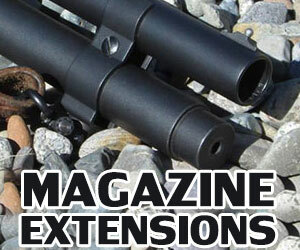 Having all the firepower you need in one magazine relives some of the stress of a tactical situation. The magazines will be heavier of course but the weight of 100 rounds is still the same except it is distributed differently in your ammunition or shooting pouches. 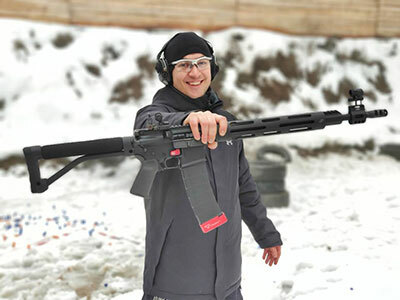 An experienced shooter can empty a 30 round mag in an AR-15 in eight seconds or even less in some cases, so having large capacity magazines is critical in some situations. An AR-15 semi-automatic can only cycle as fast as a shooter can pull the trigger however, so it does not matter what the weapon is designed for it all depends on the shooter. Magazine capacity does not allow the AR-15 to cycle as fast as it may be designed to cycle unlike belt fed automatic weapons. The reality is the faster you change magazines or the larger capacity magazines you have influences how fast you can cycle rounds. Magazines are heavy but this is to be expected and the weight is centered so this is not an issue once in a shooting position. Follow the instruction carefully for disassembly and cleaning of the high capacity magazines. Always use quality ammunition. In some cases problems with magazines stem from the ammunition and weapon and not the magazine itself. It is incumbent upon everyone to know and understand all applicable state and federal laws concerning magazine capacity laws in their state. 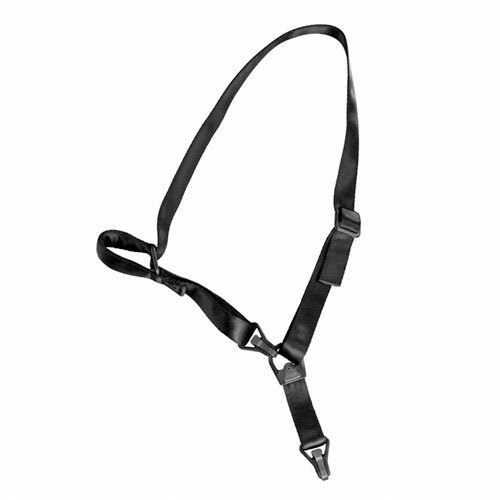 This versatile sling is designed to allow shooters retention of their weapon for numerous tactical situations. The one point attachment allows shooters greater maneuverability for direct action or you can use a two-point attachment for greater stability. This sling allows you to transition into various shooting positions without tangling the sling or inhibiting your motions. Makes switching shoulders easier for shooting around corners, under vehicles or over any type of cover to minimize your exposure. This item is made in the USA. Because of the heavy duty polymer that the attachments point are made of there is less noise, “metal on metal” and less wear and tear on the weapons metal parts as well. The new claw like attachments on the Magpul MS3 hold secure and allow the sling to lay flat instead of crimping up like older models did. The webbing is 1 ¼” versus the standard 1″ on previous versions of the sling, which makes the sling more comfortable and does not “bite” into the shoulders as thinner webbing would. In a firefight/tactical situation, the new MS3 sling by Magpul will allow the shooter to transition from a one-point attachment to a two-point attachment. A two point application would be “patrol or scout mode” where the weapon is slung on the shoulder. Once a threat is identified then you transition to a one-point, ready to engage a target from whatever position. Certain military and law enforcement teams train shooters to shoot accurately from either shoulder, which is necessary to shoot around corners and other obstacles. Some users have noted the clips to engage/disengage the sling is smaller and may be difficult to operate, especially with gloves on. Practicing with any piece of equipment is necessary and any new item you install or use with your weapon must be tested in a controlled environment. You cannot wait until you are engaged with a shooter to begin practicing with a new piece of equipment. There always has been and will continue to be, a discussion among shooters on the benefits of a sling on their weapon. In years past slings were made of rope or bits of twine found laying about and the only purpose it performed was to be able to hang the weapon on a tree branch to keep it out of the mud. Slings today are used to help the shooter better engage the target by offering stability and security. Giving up your weapon to transition to another weapon is not an option in a firefight; you need the ability to shoulder your weapon securely if you need to transition to a handgun for example. You always want to maintain control of your weapon even if you have fired it dry. Having the proper sling means, it will not tangle and allows you transition from alert to “ready to fire” if your weapon is shouldered. Anyone that has practiced home defense drills knows that you will be shooting around corners and over countertops so having control of your weapon is essential. The sling attachment ring automatically slides from one side of the weapon to the other as the weapon is moved with no manipulation on your part. Because of the design, you will experience less tangles when switching shoulders for various shooting positions. Switch shoulders to shoot around corners/obstacles without having to worry about the sling becoming tangled. This product ideal for competition shooting, timed shooting drills, target practice, hunting, home and personal defense. 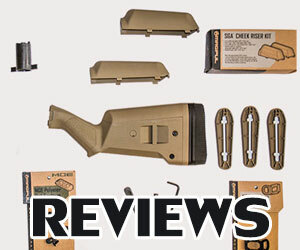 The Magpul ASAP Sling Plate is metal, and metal against metal can make noise. If you are in a situation, where you must practice noise discipline then a little duct tape will take care of the problem. When a sling is attached, there is less noise because the metal ring is not banging around loose because of the weight on the ring. Tape the ring in place when you have removed the sling if noise if a concern. Anyone that had been in the military knows the value of duct tape when going out on patrol tape anything that rattles. Unrestrained motion from any firing position such as standing, shooting sideways, crouching and shooting around corners and even from the prone position. The sling is never tangled nor does it catch on anything as it moves with the weapon from side to side. The Magpul ASAP Sling Plate is ideal for left-handed shooters. The finish is a little rough but does add character to the weapon. The sling plate is designed to take rough handling. The so-called rough nature of the sling plate is important on tactical weapons to reduce “shine”. You do not want reflective metal parts on any tactical weapon. Installation is quick and uncomplicated. There are two keys/pins with the sling plate and one key is for military versions and one for civilian.